Amsterdam Schiphol Airport hall 3 was evacuated earlier, when the bomb threat occurred. It has since reopened. Departure area 3 at Amsterdam’s Schiphol airport was evacuated on Monday evening following a bomb threat. The airport confirmed that a “man threatens with a bomb in departure hall 3” and that the area was closed off. A short time later, it was confirmed that the man, who was reportedly armed with a knife, was arrested by the Royal Military Police. 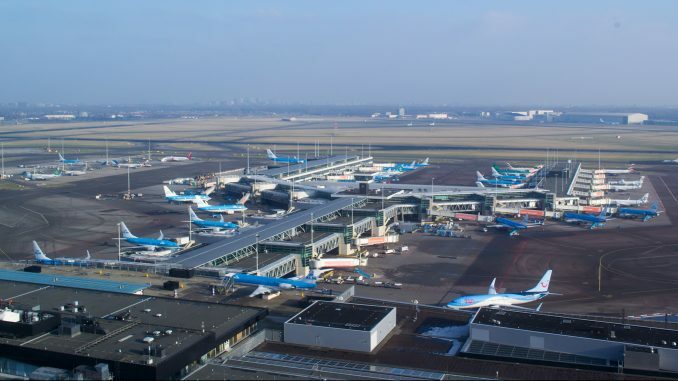 Amsterdam Schiphol Airport is the third busiest airport in Europe and serves as the main hub for Dutch flag-carrier KLM. More tweets from the time of the incident, below. @Marechaussee is the official Twitter account of the Dutch police force.